Because we have access to fresh garlic and its superior flavor, we have increased our garlic use exponentially in recent years! We think this happens with our customers as well. The real garlic flavor of fresh, home-grown garlic is so much better than what comes from store-bought powdered garlic or the old garlic purchased in stores’ produce sections and from bottles…fresh garlic flavor and aroma are addicting as well as healthy! We use garlic (roasted, minced fresh, minced frozen, minced dried, powdered from last year’s crop, etc.) almost every day. It goes in homemade bread, casseroles, dips, in almost all main dishes, and more. For example, if you used 2 cloves per day on average, that would mean you need to raise over 700 cloves per year or around 70-90 garlic bulbs. Depending upon the variety and the size, you should order 5 to 11 pounds of garlic to plant. If you sell at Farmer’s Markets, be prepared. These large, fresh, flavorful bulbs from your garlic patch will sell better than hotcakes! Note that the # of Seeds Per Pound will always be an estimate due to variances in bulb sizes, bulbs per pound, and seeds per bulb…and therefore, seeds per pound. 1. Number of Seeds per Row: Multiply the length of your row by 2, as you will probably plant one seed every 5 to 6 inches. However, some sources suggest 3 to 5 inches for spacing, so adjust this number as per your preferred spacing. If you space your garlic every 3 inches, you should use the number “4” in the equation, for example. 2. Number of Rows: Some people plant a single row, with a 2 or 3-foot gap between each row (to allow for mulch or tilling for weed control). Others plant two rows a few inches apart, and then a 2 or 3-foot gap. Still, others will plant in more of a “bed” type situation, with 6 or 8 rows close together, and then a 2 or 3-foot gap between. Decide what will work best for your situation, and determine the number of rows you will have. 3. Total Number of Seeds Needed: Determine how many seeds you will need for the length or your rows, and multiply by the number of rows you will fit into your area. For example, a 100′ row would have 200 or more seeds if they were spaced 5 to 6″ apart. If you have 100′-long rows and have 10 rows, then you would need 100 x 2 x 10 = 2000 seeds (length of row times seeds per foot times number of rows). 4. Calculate the Number of Pounds Needed: After calculating your seed needs in terms of numbers comes the tricky part, because the different varieties have different numbers of cloves in each pound of seed. 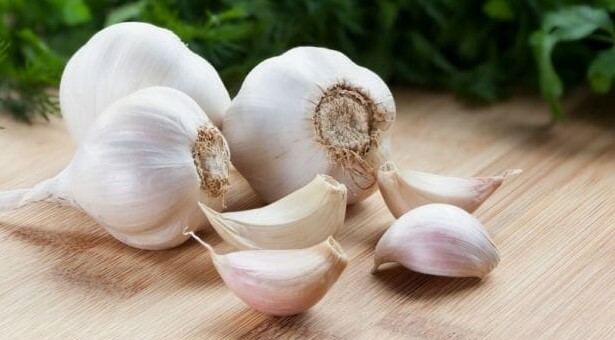 For example, some garlics have 4 seeds per bulb, while others have 20 or more seeds per bulb. Also, one variety might average 8 bulbs in a pound of large-sized garlic, while another might average 6 bulbs per pound, and another might require 12 bulbs to make a pound. Medium-sized garlic might have around 18 bulbs per pound. Once you decide on a variety, you can calculate seeds based upon those varieties’ average clove numbers per bulb and average bulbs per pound. Approximately 5 cloves per bulb, ~8 bulbs per pound equals 40 cloves per pound (cloves x bulbs per pound). (your total number of cloves needed) divided by 40 equals how many pounds of Music you would need. A 100′ row would require approximately 5 pounds of Music if planted 6″ apart. Math: 100 x 2 seeds per foot = 200 seeds needed. 200 % 40 seeds per pound = 5 pounds of seed. ~10 to 18 cloves per bulb, but using 10 to estimate (planting the larger cloves helps result in a larger-bulbed harvest), ~8 bulbs per pound equals 80 cloves per pound. (your total number of cloves needed) divided by 80 equals how many pounds of Lorz Italian you would need. A 100′ row would require approximately 2.5 pounds of Lorz if planted 6″ apart. Math: 100 feet x 2 seeds per foot = 200 seeds needed. 200 % 80 seeds per pound = 2.5 pounds. A 100′ row would require approximately 7.5 pounds of Music if planted 4″ apart. Math: 100 x 3 seeds per foot = 300 seeds needed. 300 % 40 seeds per pound = 7.5 pounds of seed. A 100′ row would require approximately 4 pounds of Lorz if planted 4″ apart. Math: 100 feet x 3 seeds per foot = 300 seeds needed. 300 % 80 seeds per pound = 4 pounds. Based upon an average from variety descriptions.